Offering laid back luxury at its festive best plus some great events, The Bell Inn & The Ostlers have a packed Christmas programme that you are sure to adore. 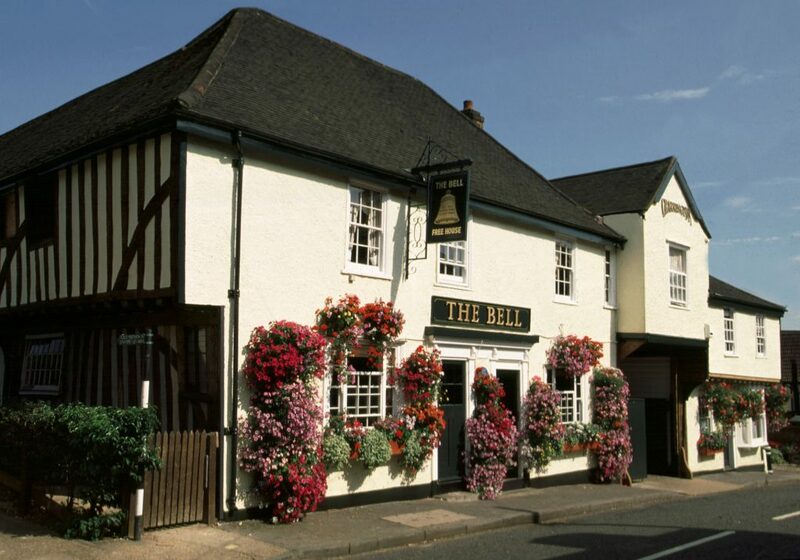 Based in Essex, The Bell Inn celebrated 80 years of single family ownership earlier this year with the Horndon-on-the-Hill property recently listed in the 2019 edition of the ‘Good Food Guide’. With great quality food and a warm welcome greeting guests from near and far, the 26-bedroom property is even more magical during the festive season. Here are eight reasons to prioritise a visit this November and December. Looking for a last minute present? Or perhaps a tasteful decoration for your Christmas tree? Mark your calendars for Wednesday 28th November when a Winter Craft Fair visits The Ostlers Cocktail Bar & Restaurant from 3pm to 9pm. Promising festive food and beverages too, you’ll find yourself caught up in the spirit of the season while humming along to George Michael’s ‘Last Christmas’ as you peruse a series of wonderful craft stalls. Afternoon teas are fabulous all year round but even more so during Christmas with an array of yuletide delights proving oh so tempting. On Saturday 1st December from 12pm to 5pm, pastry chef Jane and the team will be serving a luxurious festive afternoon tea including chocolate eclairs with Baileys cream, pistachio macaroons and Christmas cake, and Kirsch cherry’s frangipane tart. If you’re licking your lips, you can book your place now at £20 per person by calling 01375 642 463. Looking to do something a little different this Christmas? Look no further because The Ostlers Cocktail Bar & Restaurant’s Apres Ski Night is mightily unique! On Sunday 2nd December from 3pm to 10pm, get set for seasonal tipples, hearty snacks and dodgy dancing in goggles and ski hats – anything but your average Christmas party! With The Bell Inn open from 11am to 11:30pm and The Ostlers Cocktail Bar & Restaurant open from 6pm to 11pm, step in from the cold this Christmas Eve and enjoy the cosy surroundings in the company of loved ones. The Bell Inn is home to 26 individually styled bedrooms, all bursting with their own unique character. With boutique guestrooms ranging from cosy to grand, you can find out more about the inn by clicking here. Call 01375 642 463 to book. The Bell Inn is seeing the New Year in, in style! Make sure to bring an empty stomach because for £80 per person, enjoy a four-course feast consisting of smoked chicken & tarragon ballotine with parmesan snow, gin and beetroot marinated halibut gravlax, roast Longhorn beef fillet and an assiette of chocolate. Also included in your entry fee is coffee / tea and a glass of champagne followed by a DJ, dancing and fireworks. The Bell Inn restaurant is open for lunch from 12pm to 3pm on New Year’s Day with the bar open until 6pm. If you’re still on the lookout for that perfect Christmas gift for someone special, The Bell Inn offer gift vouchers from £25 upwards, redeemable in the bar, restaurant and hotel. Or why not purchase a stylish Christmas hamper or one of their take home price wines? Purchase your gifts today by calling 01375 642 463.